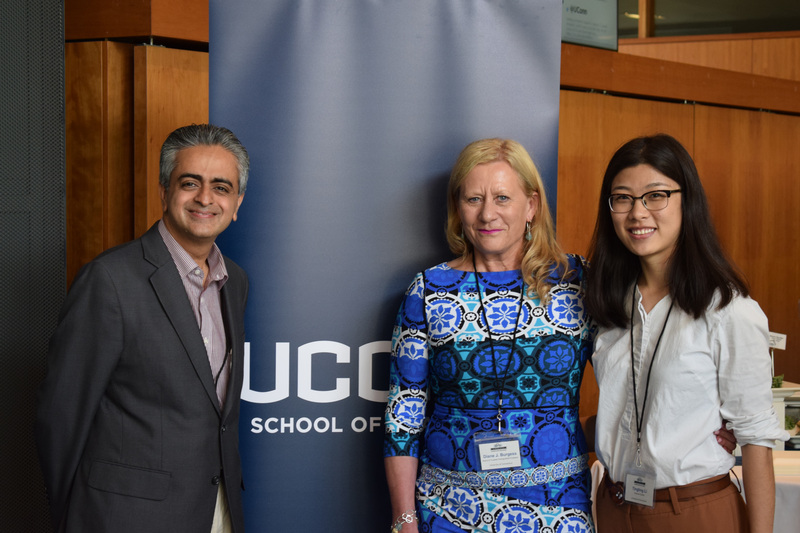 As a professor of dental medicine at UConn Health, Lalla had treated countless patients suffering from this common side effect of cancer treatment. Unfortunately, he also knew that current treatments left a lot to be desired. In collaboration with UConn professor of pharmaceutical sciences, Diane J. Burgess, and Cellix Bio, Lalla is developing a new long-acting topical anesthetic that he hopes will someday replace current methods. Oral mucositis is a side effect of cancer treatments like chemotherapy and radiation therapy. It is estimated to affect nearly 400,000 people per year in the US and is characterized by intensely painful sores in the mouth that can cause difficulty talking, swallowing, and eating. Pain from oral mucositis can become so severe that patients require feeding intravenously or through a stomach tube. Inadequate nutrition can then lead to a host of other problems for people who are already immunocompromised from undergoing traditional cancer treatments. In addition to weight loss, patients may also heal more slowly, have decreased resistance to infection, and experience a general failure to thrive. Secondary infection and potentially life-threatening systemic sepsis have also been reported. The current first line therapy at most U.S. hospitals is a mouth rinse containing the local anesthetic lidocaine. For best results with the standard rinse, patients are required to swish for about two minutes to experience only about 30 minutes of relief. The standard rinse also numbs the entire mouth instead of focusing specifically on the oral mucositis sores, which poses safety concerns since it can inhibit the swallowing reflex. With few options, many patients are prescribed systemic opioids to treat pain from oral mucositis, which Lalla equates to hanging a picture with a sledge hammer. “While it might get the job done, it is probably overkill and could certainly cause unnecessary damage,” he says. With the help of the Burgess lab in UConn’s School of Pharmacy, Lalla and his collaborators are close to replacing the “sledge hammer” with a more precise and effective treatment option that doesn’t include risk of addiction or abuse. Thanks to critical lab work conducted by Tingting Li, a Ph.D. student in the Burgess lab, the UConn team has developed an innovative formulation that they are confident will address this medical need. This formulation and the novel patented compound delivers co-actives, a long-acting topical anesthetic, and a medium chain fatty acid that can be applied directly to sores with a specially designed spray nozzle. This means that medication can be targeted to lesions rather than the whole mouth, allowing for pain relief without any unwanted generalized numbness. Starting out in liquid form, the anesthetic turns to a gel when it comes into contact with the mouth and reaches the temperature of the human body. The medication can then stay in place on mouth sores. Since the UConn technology uses an anesthetic that is also more potent than lidocaine, the researchers expect it should relieve pain for about eight times as long as the standard mouth rinse, approximately four hours. The compound also exhibits antimicrobial and anti-inflammatory effects naturally delivered by the medium chain fatty acid, which could reduce the severity of lesions from oral mucositis, says Lalla. While Lalla and his collaborators believe they are about one to two years away from clinical trials in humans, they are excited about the potential life-changing impact this therapy could have for patients. Funding for this technology has been provided by Cellix Bio, the UConn SPARK Technology Commercialization Fund, the UConn Research Excellence Program, and an Innovation in Oral Care Award from the International Association for Dental Research (IADR).